After organizing three successful RAMPAGE Series tournaments with participants mostly from Europe and CIS region, X-Bet and EPULZE are ready to dive deeper into the world of esports with the upcoming Rampage Series season 4, which will feature many up and coming teams from the SEA region. Some fantastic changes lie ahead as X-Bet is expanding its role in the professional esports SEA community. 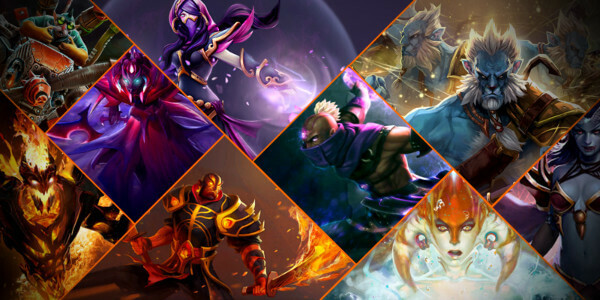 Many rising Dota 2 teams will compete for the title of “Rampage Series, Season 4, Champion” and in the process can win some huge cash prizes. The tournament gives new talented esports teams the opportunity to earn money, further their careers and become the next Dota 2 SEA stars, by gaining fame and notoriety not only in the SEA region but also in the global Dota 2 scene. X-Bet is constantly searching for talented esports teams, and inviting them to participate in their famous in-house tournaments. X-Bet is eager to find and promote new esport stars to the world! Who knows, maybe the winner of the next International is hidden among the X-Bet Rampage Series #4 participants? The main part of X-Bet Rampage Series #4 kicks off on Monday 28th of January at 14:00 (SGT). Dragon Gaming (China) and 496 Dota (Vietnam) will have the honor of opening the competition. This match will be played in bo3 system, same as all the upper-bracket matches. 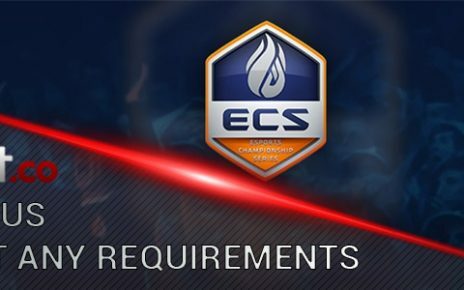 Meanwhile, the matches of the lower-bracket will be held in bo1 format. Semi-finals in both brackets will be in bo3, whilst the grand-final will be held in a best-of-five format. EPULZE official twitch channel will fully broadcast all the matches of X-Bet Rampage Series #4. Besides that, the tournament’s schedule is free to access for everyone by clicking here. Although, X-Bet is famous for the sponsorship of new rapidly evolving esports teams throughout the world, such as Quantum Bellator Fire QBF, SFT-ESPORTS, Nova Esports, and Iberia Esports. The tournament in the SEA region is a new experience for the X-Bet team. Especially for the Rampage Series #4 X-Bet has prepared an exclusive 100% bonus. Simply enter bonus code RAMPAGE into the special bonus-field, whilst making a deposit and receive a 100% bonus, up to 100 EUR, on any sports or esports bets. This is just the beginning, ensure you have an X-Bet.co account and stay tuned for more information about upcoming esports tournaments, events and various promotions for our loyal customers which are sent every week. Do not forget to follow X-Bet social media, to read all the latest esports news. Become a part of our great esports betting community today! You can check ninja’s X-bet review right here. 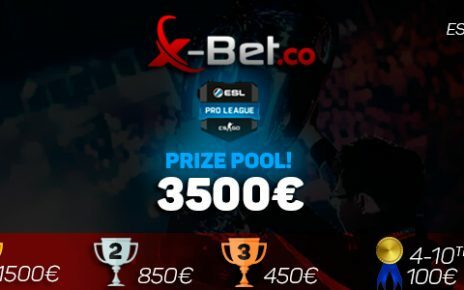 ESL PRO Finals X-Bet.co 3500€ Prize Pool Promotion!